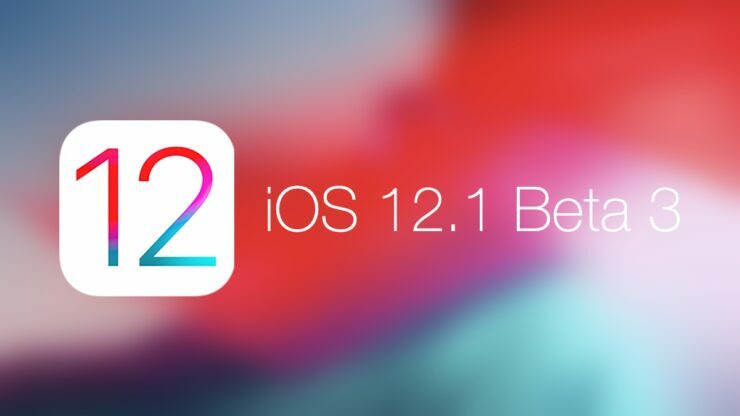 Apple has seeded iOS 12.1 beta 3 for download and you can download it over the air on your iPhone, iPad, iPod touch. For those who have been waiting for the third beta of iOS 12.1 to arrive, today’s the day to treat yourself to Apple’s latest pre-release software. You can grab the latest update over the air right now if you have the previous build already installed. It’s a simple case of going to Settings > General > Software Update and then tapping on Download and Install. Just make sure you have 50% or more battery on your device and connected to WiFi. But as a precautionary measure, I highly recommend that you keep your device plugged in at all times to ensure everything goes as smoothly as possible. The latest build of iOS 12.1 beta brings with it under the hood refinements and performance related enhancements so that everything ticks on nicely when it comes to day to day usage. You get a live preview of aperture control straight from the Camera app along with fixes for the ‘Chargegate’ bug. Needless to say that it’s an important update and you should install it right away if you have a previous beta installed on your iPhone or iPad.